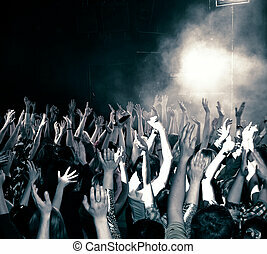 Concert crowd, hands up, toned. 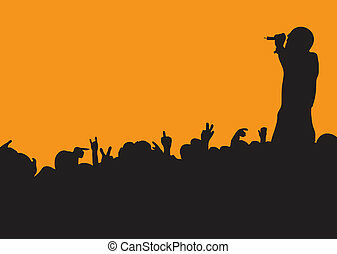 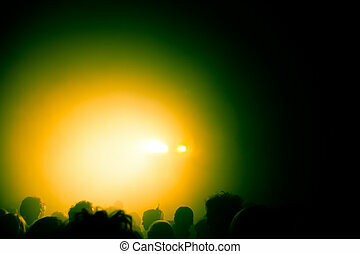 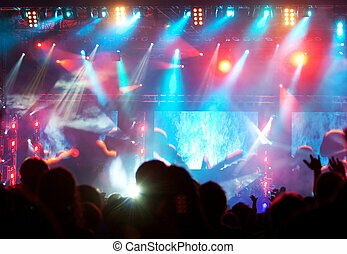 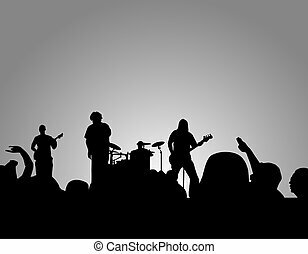 Rock concert silhouette with band and crowd. 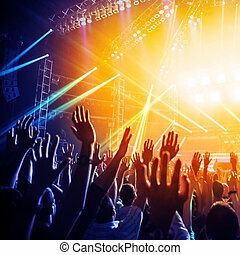 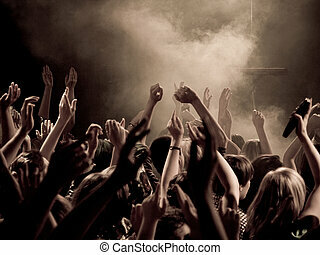 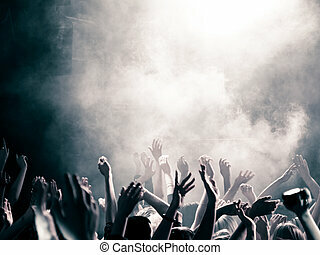 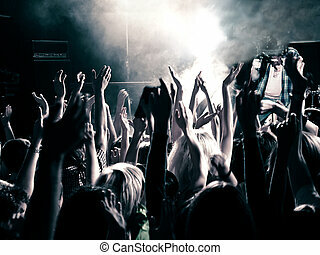 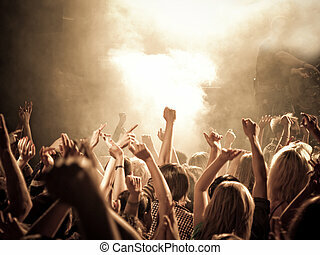 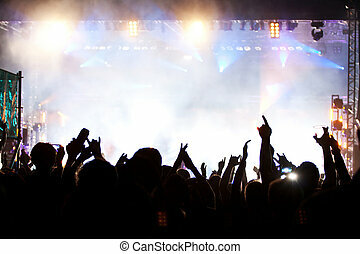 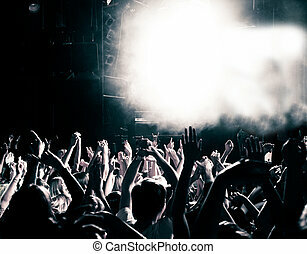 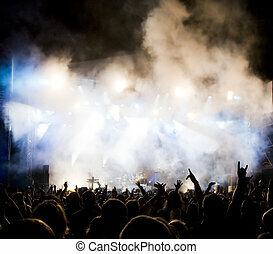 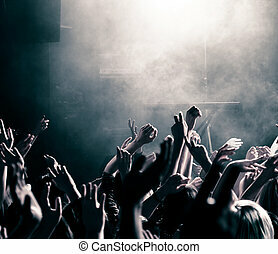 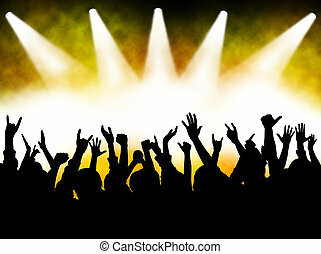 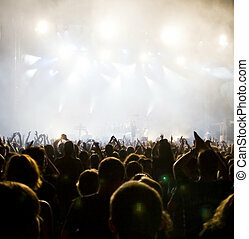 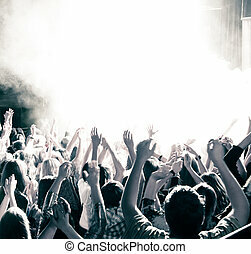 Concert crowd with hands up in the air. 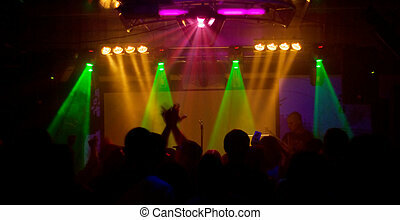 High ISO! 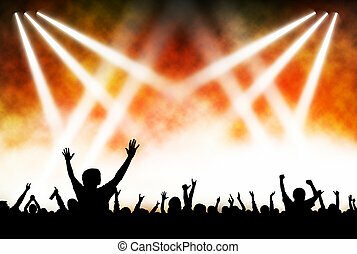 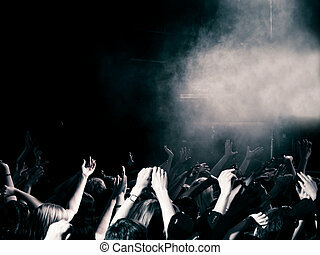 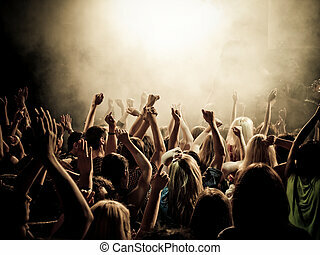 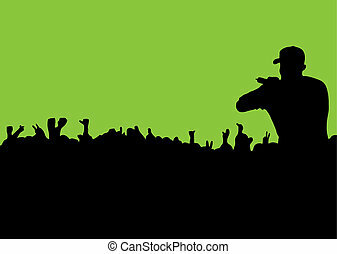 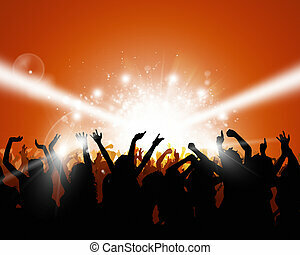 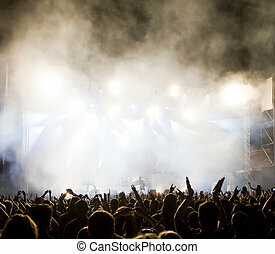 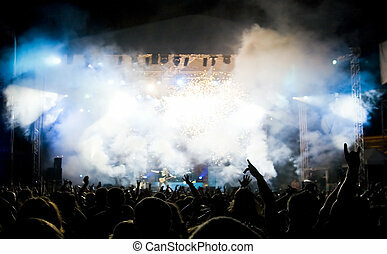 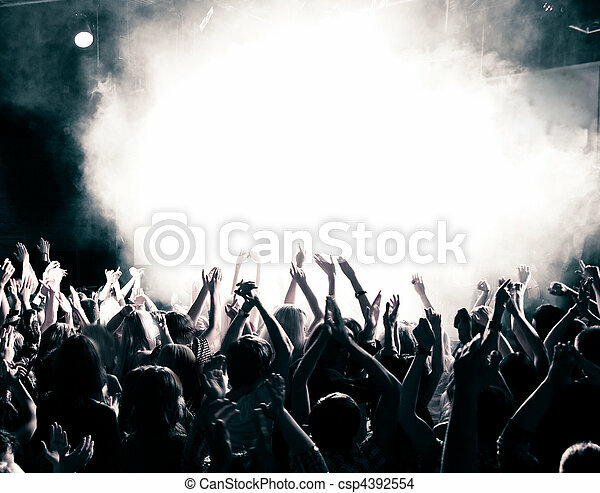 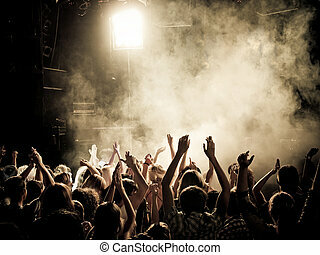 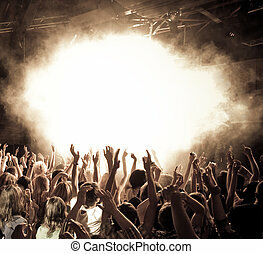 Crowd at a concert, hands up. 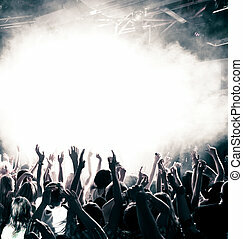 High ISO! 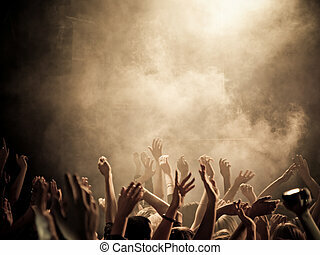 Crowd at a concert with hands uup, high ISO!